The Lathe Lamp – is made of round oak poles, joined by a metal bracket. The cable is neatly hold in place by a rubber ring. 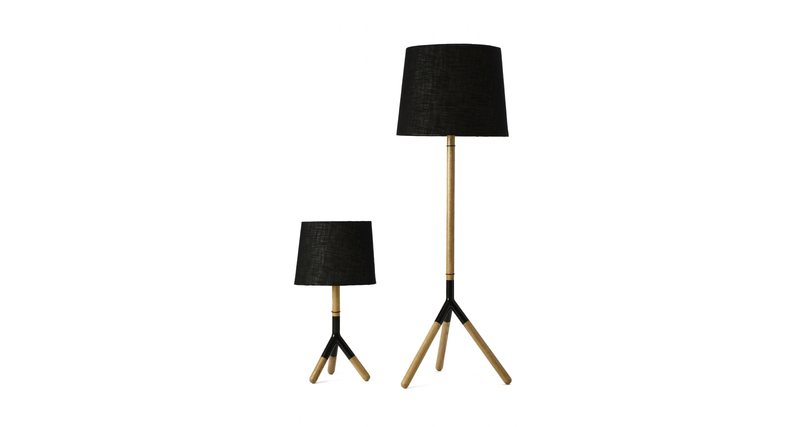 The lamp is available in 2 sizes, a floor and a table lamp. Comes with black and cream colored fabric shade. Mater combines exclusive high end home accessories with working methods that support local craft traditions and the environment.